Feminist Writers Festival, (25-27 May) Vic. Latrobe City Literary Festival, (25-27 May) Vic. Margaret River Readers & Writers Festival, (1-3 June) WA. Conjugation (Continuum 14), (8-11 June) Melbourne, Vic. Bellingen Writers Festival, (8-10 June) Bellingen, NSW. Woodend Winter Arts Festival, (8-11 June) Woodend, Vic. Oz Comic-Con, (9-10 June) Melbourne, Vic. Australian Fairy Tale Society Annual Conference, (10 June) Sydney, NSW. Supanova, (15-17 June) Sydney, NSW. Williamstown Literary Festival, (16-17 June) Williamstown, Vic. Australian Booksellers Association Conference and Trade Exhibition, (17-18 June) Canberra, ACT. WordFest, (18 June – 26 July) Melbourne, Vic. Emerging Writers Festival, (19-29 June) Melbourne, Vic. Glen Eira Storytelling Festival—Off the Page, (21 Jun – 8 July) Glen Eira, Vic. Supanova, (22-24 June) Perth, WA. Outback Writers Festival, (26-28 June) Winton, Qld. 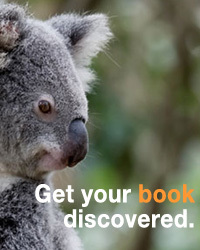 Rare Book Week, (29 June – 8 July) Melbourne, Vic. Kids and YA Festival, (30 June) Sydney, NSW.